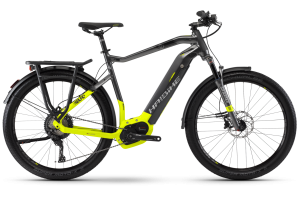 Powered by Fully Charged, London's leading electric bike retailer. 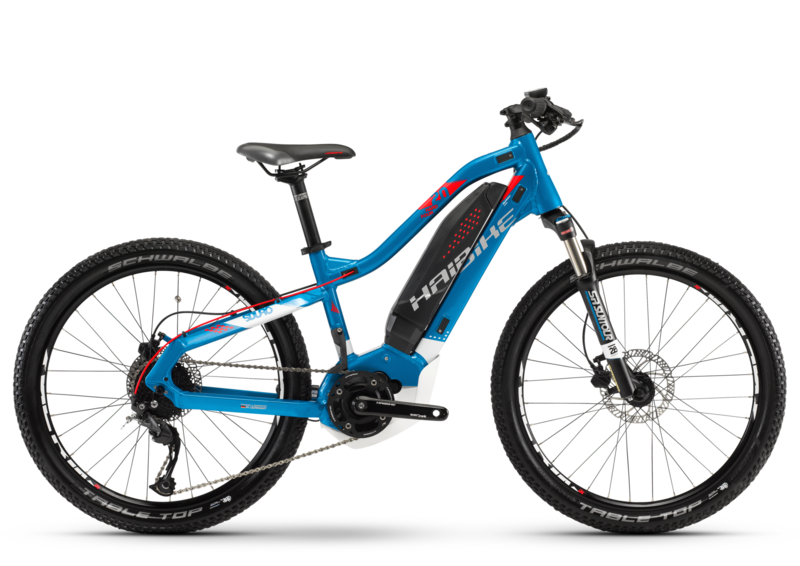 Off the back of our wildly successful demo weekend with Haibike a few weeks ago, we have decided to run a recap of our picks for the 2018 Haibike eBike range. 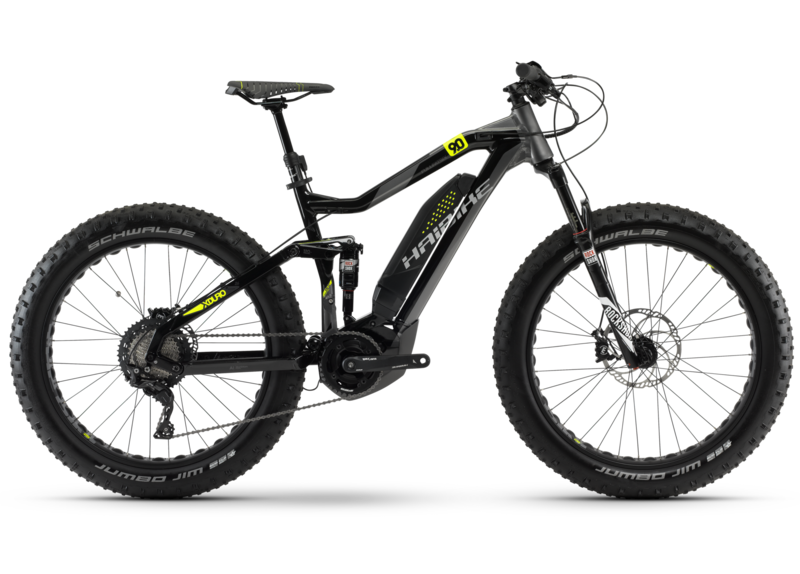 Across Haibike’s wide range of eBikes built for all styles of off-road riding, a lot of different technologies have been used. From a mix of Bosch and Yamaha powered eMTBs, to InTube battery technology and Range Extending ability. Whether you are looking to conquer the most hair raising of terrains or ride in supreme comfort across long choppy tracks. The Haibike eBike range will have at least one electric bike suited to you! 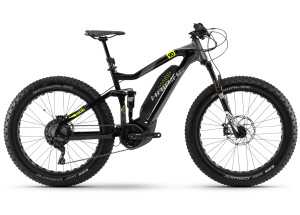 Easing in the Fully Charged Haibike eBike picks gently is the Sduro Trekking 9.0. This mixed terrain long distance eBike was built to take you to work. Whether your journey is 10 miles of tarmac, or 20 miles of tow-path! The Trekking 9.0 can be bought as a crossbar or step through frame. For anyone, female or male riding to work in their suits, the step through can be a blessing! While riding in your suit the Trekking 9.0 will keep you clean – mudguards coming as standard. Integrated lights keeping your position illuminated on the road while the pannier rack negates any need for a rucksack – no sweaty back on arrival! Last but certainly not least on the Trekking’s long list of features is the Modular Rail System. This feature allows the rider to add a number of accessories to the downtube with incredible ease. For the security conscious ‘TheRailLock’ system allows you to easily lock the bike while popping off for a hard earned pint! For those looking to ride even further than the 500Wh battery allows, the MRS can be fitted with a second 500Wh battery providing assistance up to 150 miles! This model has been featured on our blog a couple of times already – but for good reason! A Bosch Performance CX motor, with a 500Wh PowerTube battery automatically puts this eBike in good stead. As a women’s specific eMTB, the Hardlife 6.0 features geometry suited to female riders. Narrower handlebars and a shorter stem change the riding position allwing for a more controlled and calculated ride. Up front are Suntour Raidon forks with the ability to lock out. If you are eyeing up an eBike to commute, locked out forks with 27” tyres will be comfortable on tarmac, while un-locking for the trails will provide 120mm of travel to play with. If you would like to demo the Hardlife 6.0, give us a call or visit us in store to arrange your test ride! 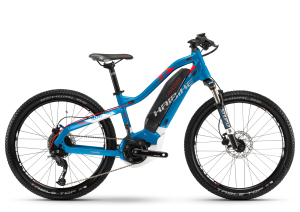 Our Haibike eBike picks wouldn’t be complete without a children’s model – which is just as well equipped as its full size counterparts! Built from the ground up as a children’s eMTB and not a scaled down adult frame, the Hardfour 2.0’s geometry is designed for riders of 8 years and over. Keeping the family unit together during rides is the Yamaha PW system. This toned down version of Yamaha’s entry level motor has a torque limit 10Nm lower than the adult version. While being restricted to 12.5mph. Enough power and speed to aid themselves up hill without a tow. But not too much so the eMTB is too much of a wild one to control! Coming out of the box with a 400Wh battery, an easy to read and non-distracting LED screen. 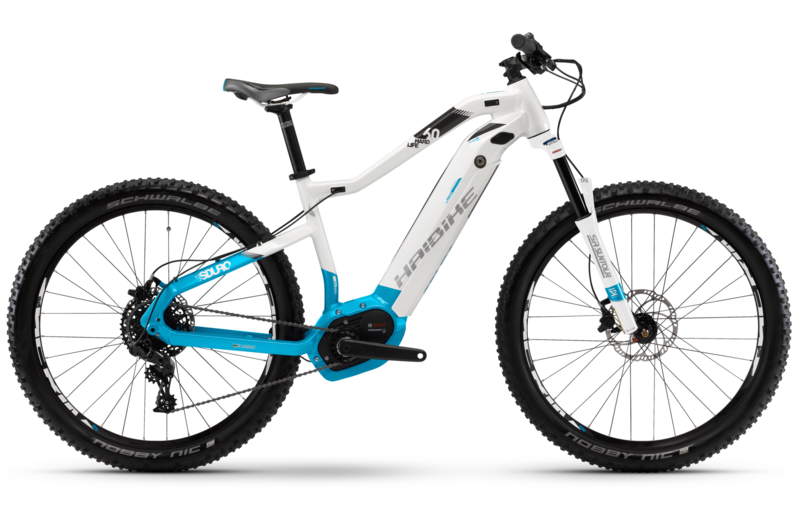 This is the dream eBike for the young budding mountain biker in the family! During our demo day in Peaslake, the Xduro FatSix 9.0. For the most fun on two humongous tyres, we’d go for the FullFatSix 9.0. The full suspension model differs from its hard-tail counterpart as it is Yamaha powered and not Bosch. Yamaha’s PW-SE motor features zero-cadence support, providing assistance as soon as pressure is applied to the pedal. Ride information is supplied through the LCD-X screen, providing nuggets of data such as range, average speed and battery level. The standout feature on the Full FatSix 9.0 comes in the form of the Schwalbe Jumbo Jim Evo 26 4 inch tyres. Whether you are hoping to ride in powder snow, across sand dunes, or just in major comfort while exploring the countryside, you know these monsters have your back! 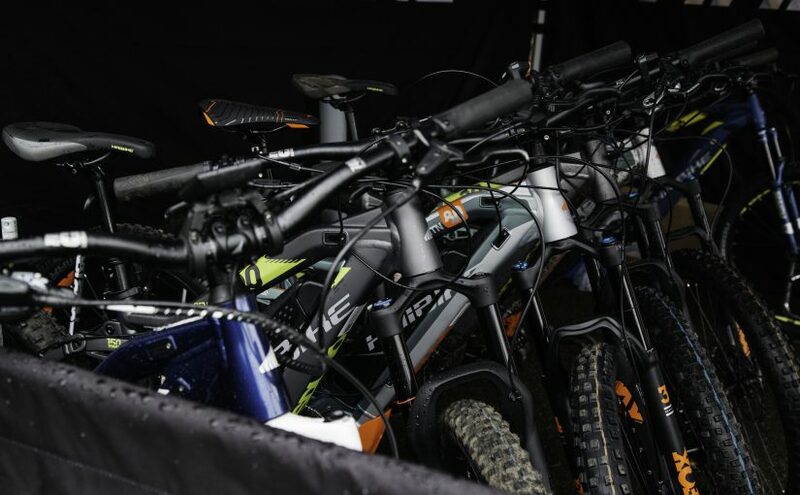 If you’d like to find out more about our 2018 Haibike eBike picks, or the rest of the eMTBs in the range. Give us a call or visit our Bermondsey Street showroom where our experts will be happy to help!